Graphics Information Systems Limited (GIS) was founded in the year 1984, when awareness of the massive power and benefits of Information Technology had just begun to grow in Bangladesh. However, GIS steered forward steadily with the vision to become a major provider of IT,Uninterruptible Power Supply, Home Automation solutions (powered by Schneider Electric) and related technologies. DLP is an eye-catching intelligent panel made in ceramic quality with glass finish, which provides full control of your home through its pages full of functionalities. Every page has eight buttons whose functions are visualized and intuitive handled through icons or percentages indicators on the clear-cut DLP display, and each button has a configurable LED indicator. On this minimalistic panel you have up to 56 buttons to control your home, and each button has an LED indicator configurable. Available full configuration of the pages to suit your requirements. The C-Bus Wireless Gateway is powered from the wired C-Bus network via an RJ45 connection. It enables flawless communication between a wired (Cat.5e) C-Bus Network and a C-Bus Wireless Network, including C-Bus Wireless remote control units and battery operated wall switches. The best just got better with Clipsal's eDLT (enhanced Dynamic Labelling Technology). 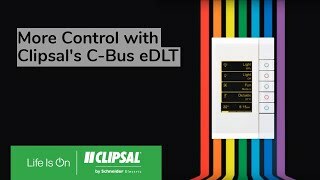 The eDLT provides sophisticated and user friendly control of your C-Bus System and offers the ability to customise the colour of the display & buttons, advanced device control and intuitive functionality. Complementing this, the eDLT offers a contemporary design that will suit any modern interior. It's clean architectural lines and glass or metallic fascia create a visually stunning wall switch. Applicable for residential a commercial installations, the eDLT really is Australia's most advanced wall switch. Your home is more than four walls; it is a living, breathing space. “Swadhinata Stambha”, the independence monument, in memory of the people who sacrificed their lives for the country between 1948 and 1971, has been constructed in ‘Suhrawardy Uddyan’. The project began in February 1997 as ‘Bijoy Stambha’ and it included an open stage with a capacity of 2,000 people, mural work depicting historical events from 1947 to 1971, liberation war museum, 157-seat underground audio visual auditorium, and an artificial water body with fountain and plaza. Copyright 2016 GIS | All Rights Reserved | Designed and Development by Optimum Technologies.